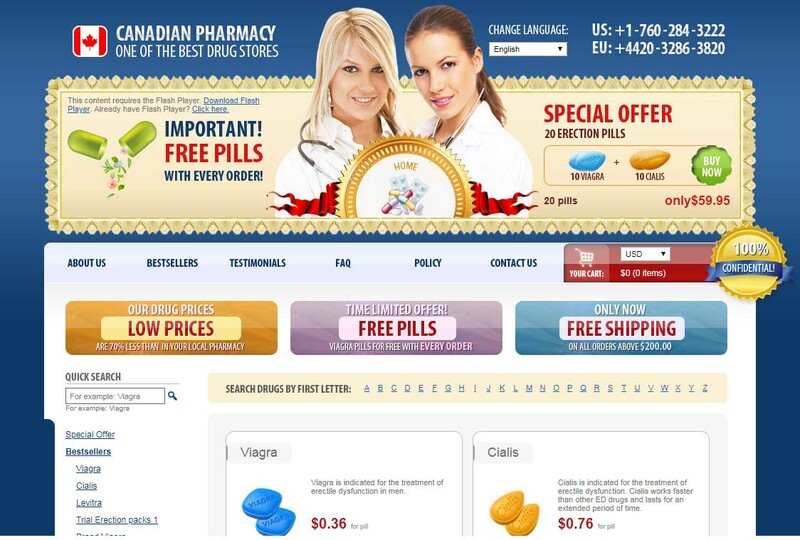 This website is using a site logo which says “Canadian Pharmacy” and “One of the best drug stores”. Websites normally like to use a logo which matches the domain name of the site for obvious reasons. The fact that this isn’t the case with this pharmacy is a problem. 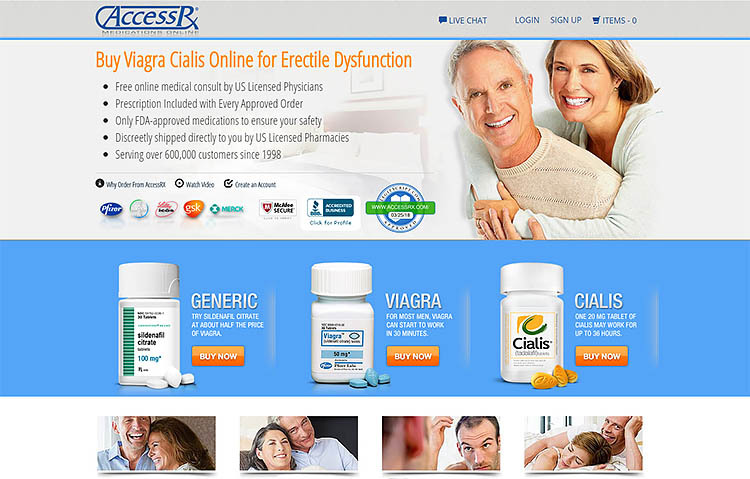 Many unreliable online drugstores are using duplicate website templates so that they can be quickly uploaded by their owner. These templates use generic logos like the one found on this store. 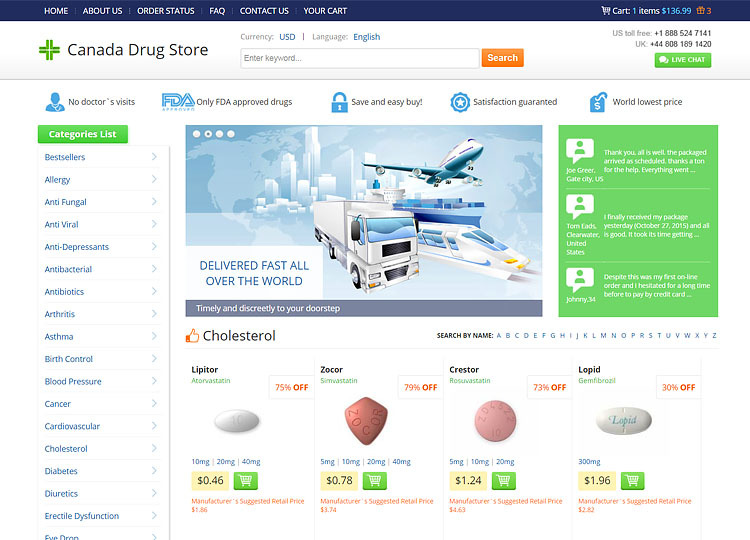 This suggests that this store is part of an affiliate network of pharmacy sites which normally sell low-quality drugs. 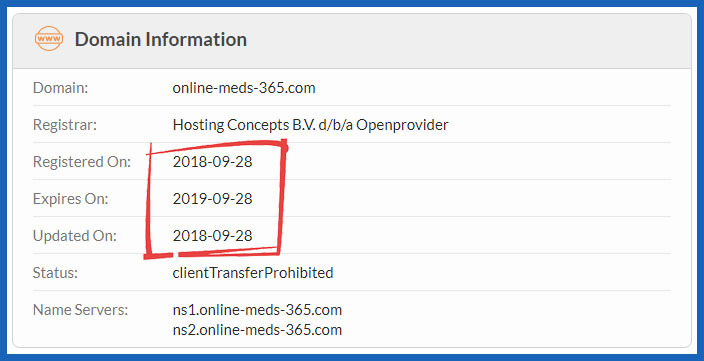 The Whois domain name record for this site address reveals to us that this pharmacy can’t have been around for very long. This domain name was registered less than a year ago and this fact alone increases the likelihood that this store is a scam operation. Most of the rip off pharmacies we have reviewed haven’t been around for very long. Another pattern also found with the scam pharmacies, is hiding their contact information in the Whois record. Unfortunately, we find that the owner of this site has chosen to use a privacy service to make sure their real name and address aren’t available in the record. 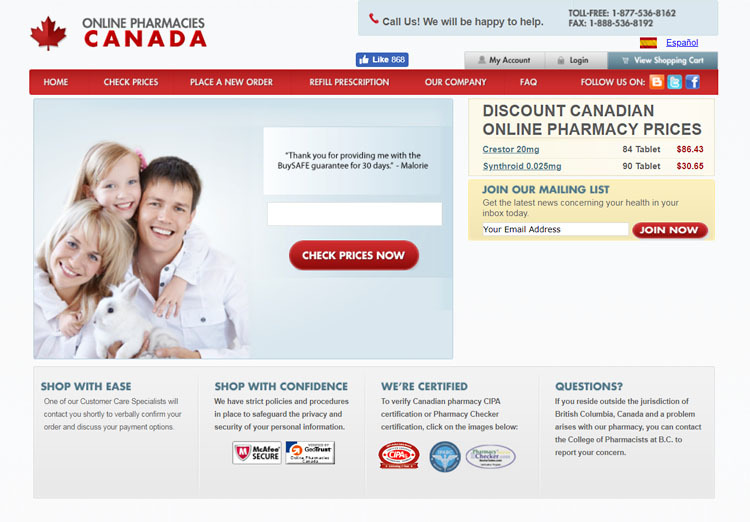 This store may claim to be a Canadian pharmacy but despite this, they fail to provide an address or business name anywhere on the store’s pages. This is something very commonly found on scam pharmacies and means that this store isn’t willing to tell you who they are. Reputable businesses don’t try to hide their contact information from their customers like this store is doing. This drugstore has regulatory seals on its site for Canadian associations. They feature seals from CIPA, MIPA, CPA and HealthPricer. When you find regulatory seals like this, you should be able to click on them to be taken to the association site, so that you can check its use is valid. You can’t click on the seals on this store, which is a bad sign. When we check with these regulatory associations we find that they aren’t registered. They aren’t registered with CIPA, MIPA and HealthPricer and so are using these seals fraudulently. The CPA seal doesn’t seem to be a genuine seal used by a regulatory association. It may be meant to show regulation by the Canadian Pharmacists Association, but in fact, they don’t use this seal so it would appear to be a fake seal. Added to what we have already found, this store is considered to be operating outside of the law by LegitScript. 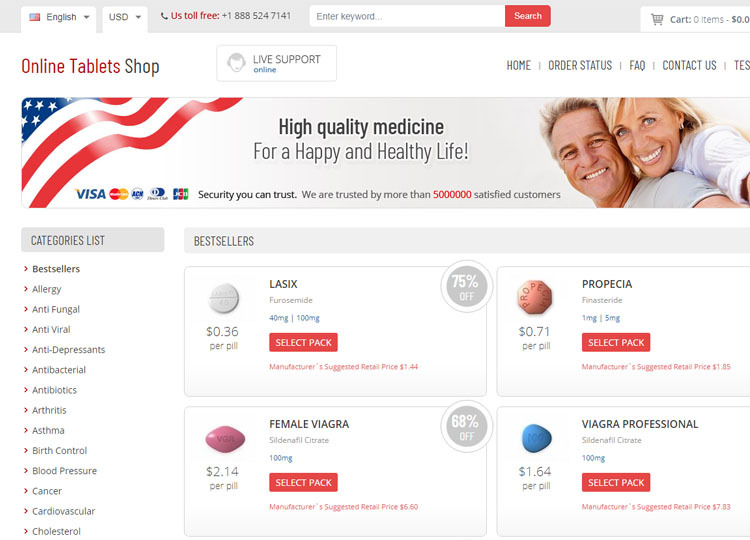 This store offers a fairly good range of pills, though their best sellers seem to be men’s health treatments. The sell brand name and generic versions, however, the way they advertise the generics is rather confusing. They use brand names to sell generic drugs. They don’t say this on the product pages of the generic drugs, this fact is only admitted in the FAQ. This highly deceptive practice means that many people will be buying generics when they think they have ordered brand name drugs. According to the FAQ, the real brand name pills are signified by the use of the word ‘Brand’ in the product name. This is a frequent problem we have found with scam online pharmacies and isn’t something you would expect from a reputable business. This deception highlights another potential problem. If they are willing to mislead their customers like this, what else could they be lying about? There is a worldwide problem with counterfeit drugs, could this store be selling brand name medication which isn’t genuine? 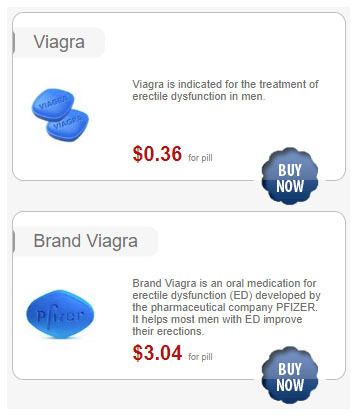 The prices of the brand name pills are considerably cheaper than we’ve found on reputable stores, so it could very well be the case that they are selling counterfeit drugs. They are also giving away free pills with every order. The men’s health pills they give away should require a prescription and the fact that they are so willing to provide this offer further points to the likely low-quality of the medication sold from this store. This drugstore doesn’t care if you don’t have a prescription for the medication you order from them. They, therefore, don’t care for the safety of their customers, putting them at risk from taking medication which could interfere with other drugs the person is using. The lack of a genuine prescription requirement from an online pharmacy is a good indication that the store isn’t working within the law. We haven’t been able to locate any coupons for this drugstore. When you go through the checkout process for this store you might be surprised to find yourself on another website when it comes to entering your payment details. 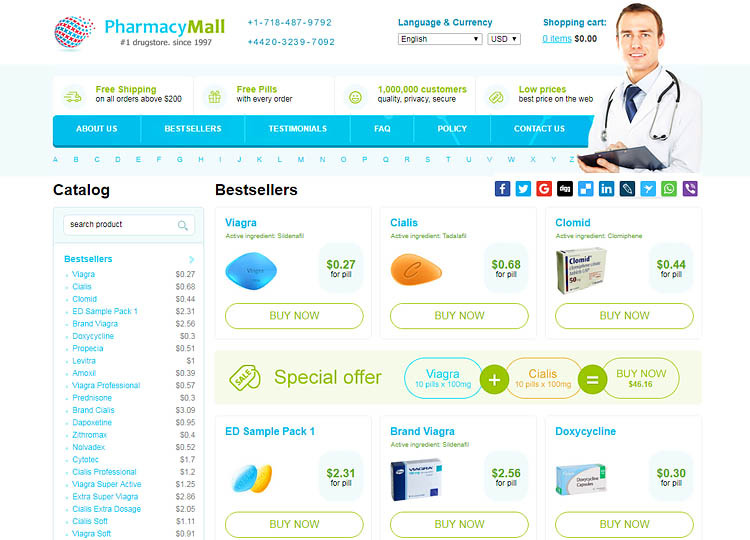 This other site is secured with a valid SSL certificate which is an improvement over the main pharmacy store. If you have some complaints with your order from this store your options seem rather limited. They have an online form or telephone numbers for the US and the UK. These limited forms of contacting the business suggest that finding satisfaction when you have problems with your order might be rather difficult. When looking for customer feedback for an online pharmacy it is normally better to find it on an independent review site as a store’s own testimonial page isn’t going to be impartial. We weren’t able to find any independent Online-Meds-365.com reviews and can only look at the site’s own testimonial page. The comments on this page are unsurprisingly all positive and there is a lot of them. It is amazing to find so many customer testimonials on a site which is as new as this one is. The reason for all these great comments isn’t actually likely to be because this pharmacy provides great service to customers. It is far more likely that these testimonials are fake, posted to try to convince potential customers that this is a good place to buy medication. 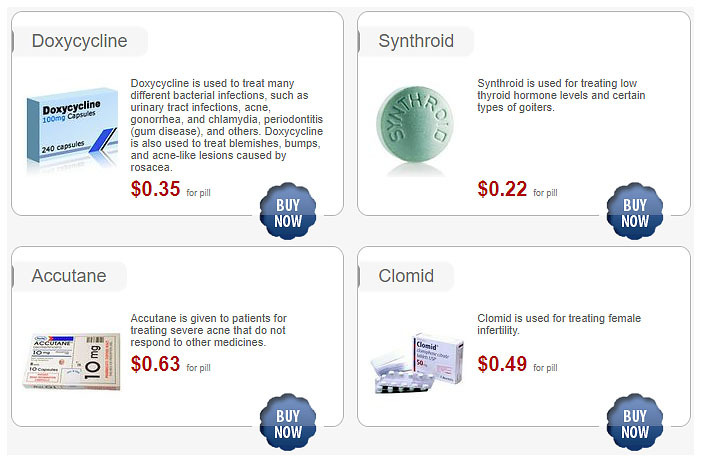 This online drugstore hasn’t been around for very long and it wouldn’t surprise us if it disappears rather quickly as well. They are claiming regulation that they don’t have, using fake customer testimonies and are trying to misrepresent the pills they sell. This, along with the lack of transparency over the ownership of this site, leads us to the conclusion that this isn’t a good drugstore to put your trust in. We give them a mere 0.9 out of 5. Look elsewhere for safe and reliable medication.